Precision Therapeutics is at the Forefront in Medical Advancement and Innovation. The Company Arose as a Joint Venture Between Skyline Medical and Helomics. 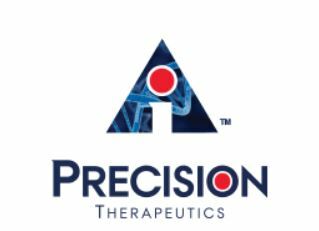 Precision Therapeutics Is Now Bringing Precision Medicine to the Diagnosis and Treatment of Cancer. Harnessing the power of artificial intelligence, Precision Therapeutics is working with the pharmaceutical, diagnostic and biotech industries to develop highly customizable assessment methods for cancer patients, which is leading to much more effective treatments for the patients of today and tomorrow. Precision Therapeutics Is at the Forefront in Medical Advancement and Innovation. The Company Arose as a Joint Venture Between Skyline Medical and Helomics. Skyline Medical’s Automated ‘streamway’ System Transformed How Laboratories Safely Dispose of Medical Fluid Waste. By Joining Forces with Helomics, Precision Therapeutics Is Now Bringing Precision Medicine to the Diagnosis of Cancer. Harnessing the Power of Artificial Intelligence, Precision Therapeutics Is Working with the Pharmaceutical, Diagnostic and Biotech Industries to Develop Highly Customizable Assessment Methods for Cancer Patients, Leading to Much More Effective Treatments. Skyline Medical’s Automated ‘Streamway’ System Transformed How Laboratories Safely Dispose of Medical Fluid Waste. Helomics® is a precision diagnostic company and integrated clinical contract research organization whose mission is to improve patient care by partnering with pharmaceutical, diagnostic, and academic organizations to bring innovative clinical products and technologies to the marketplace. Helomics has established operations that bridge two emerging areas of the healthcare industry: precision medicine and big data. Helomics’ competitive advantage lies in its proprietary D-CHIP™ database, which contains de-identified data compiled from more than a decade of clinical testing of tumor responses to drugs coupled to an Artificial Intelligence (AI) -powered bioinformatics engine which generates actionable scientific insights from this rich data. These insights are used by BioPharma companies in the research and development of targeted cancer treatments for any given patient profile. Precision Therapeutics Inc., a company focused on applying artificial intelligence to personalized medicine and drug discovery, is pleased to announce that on July 11, 2018 the European Patent Office granted European Patent No. 2948200 covering the Company’s STREAMWAY® System for automated, direct-to-drain medical fluid disposal, which is sold through the Company’s Skyline Medical division. 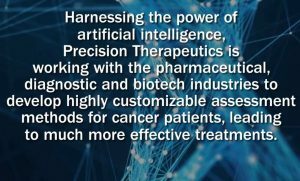 Precision Therapeutics Inc., a company focused on applying artificial intelligence to personalized medicine and drug discovery, is pleased to announce that it has signed a definitive merger agreement with Helomics Holding Corporation (“Helomics”). 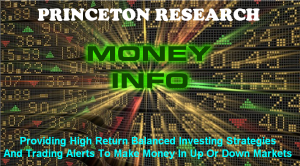 Upon completion of the merger, Precision will increase its equity stake in Helomics from 25% to 100%. This merger will provide Precision Therapeutics with full access to Helomics’ suite of Artificial Intelligence (AI), precision diagnostic and integrated CRO capabilities, which improve patient care and advance the development of innovative clinical products and technologies for the treatment of cancers. Skyline Medical Inc.’s STREAMWAY System is eco-friendly as it addresses the numerous bloody, potentially disease infected canisters that go into U.S. landfills every year. These tainted canisters—which are generally made of plastic—can take centuries to biodegrade, but with installations of the STREAMWAY System, the number of these canisters can be significantly reduced. The new standard in waste fluid management. 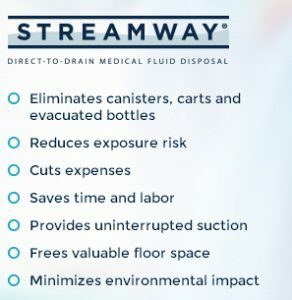 The STREAMWAY System installs in or on the wall with direct-to-drain fluid removal medical product for safe, continuous collection and disposal. The illuminated touch screen provides safe control over surgical suction levels and displays automated measurement of volumes, while the single patient procedure filter and tissue trap both prevents cross contamination and allows for tissue retrieval. To clean, simply detach the filter, connect the cleaning solution bottle and activate the rapid clean cycle using the touch screen.